Can The Hotel Industry Keep Up With Controversial Airbnb? Airbnb is a website that allows for travellers to find someone cheap and homely to stay when they travel. Whether it be a local trip or a trip overseas, there are hundreds of different kinds of accommodation to choose from. Airbnb allows all kinds of accommodation such as a spare room, a whole house, an apartment, or even something a little crazy such as a renovated trailer. People register on the Airbnb website, to either become a host or a traveller and can describe the space that they have available. 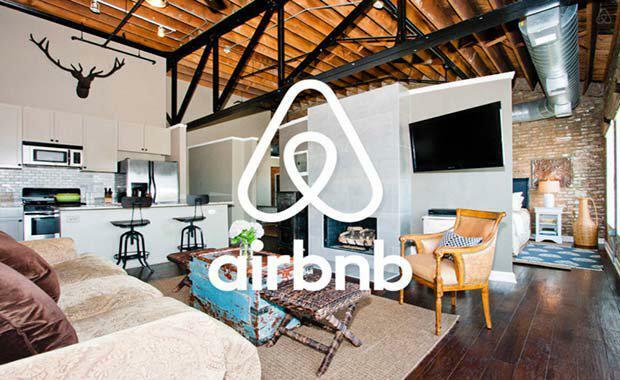 RELATED ARTICLE: Opinion: Are Hoteliers Finally Taking Notice Of Airbnb? Because of the way Airbnb works and how cheap the accommodations usually are, it has caused a loss in hotel bookings. Not only has it caused a drop in hotel bookings worldwide, but also in short-stay apartment buildings, both of which have occurred particularly in New York. It isn’t only the loss of hotel bookings that have people worried, but the Bed and Breakfast Association’s chief executive David Weston says that it is also the possible lack of insurance. “There are big questions unanswered, for example on insurance. I doubt the insurance industry is interested in providing cover for paying guests in people’s homes,” Mr Weston says. How has it changed the hotel industry? Airbnb has been in countries overseas for over 10 years and for some places, it has changed the hotel industry and the way people travel. In places such as New York City, some people have been renting out their apartments without the consent of the landlord, which is against the law in New York. According to New York University’s professor of information, operations and management sciences Arun Sundararajan, some American apartment blocks have totally banned the use of renting apartments through Airbnb, whereas some have agreed with the terms and are signed up themselves. In some cities internationally, people staying in Airbnb accommodation, some people are managing to skip paying a hotel or tourist tax that people renting holiday accommodation are meant to pay, meaning that it is resulting in tax issues. According to the Economist, if Airbnb continues to grow at such an alarming rate, by 2016 the amount Airbnb has taken down hotels could be up to 10 per cent, which could result in a lot of businesses being forced to close. In fact, many smaller hotels are already being forced to close their businesses, which they say is due to Airbnb, including the president of Apple Core Hotels in New York. “I see a direct correlation between our revenues going down and [Airbnb’s] going up,” Mr Dandapani said. In Australia, the popularity of Airbnb is growing, with more and more people choosing to stay at accommodation they have found through the website instead of hotels. So many people have gotten onto the trend, that according to Traveller, there are more than 2,700 listings for Airbnb accommodations available in Melbourne alone. Of course, with everything done over the internet, there is the possibility that you are being played by a scam artist, which has got many people worried with Airbnb. Through using this website, there is the possibility of a potential host stealing money out of your account, while the guest thinks that they’re booking accommodation. Airbnb is changing the way people view travel. Many people see it as a cheaper way to go where they want to and make friends along the way. Many also see it as a possible end to hotel chains unless something is done about it. There are large amounts of possibilities that bookings will be too good to be true or the host could be a fraud, but there is also the possibility that Airbnb could be the next step that the world will take in travel. What will happen to both the hotel industry and Airbnb is a fight that will have to be watched, because either side could come out on top.